We all know Derek Jeter is a legend. 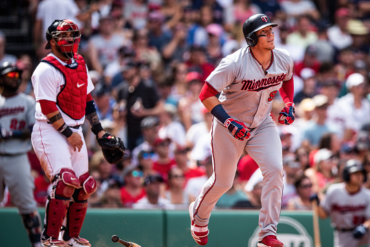 How do you replace the player who brought so many fond memories to so many fans, handled himself impeccably with the media, and was arguably one of the most clutch players ever to hit a baseball? Brian Cashman found himself in that unenviable situation after Jeter’s retirement following the 2014 season. Cashman restrained from signing a big-time free agent like Hanley Ramirez (who the Red Sox signed), because the expectations would be way too high for a player of that stature. As great as Ramirez was, Jeter’s shoes were still too big to fill. Cashman decided to go small. He wanted to sure up the position defensively, especially when they hadn’t had much defense from the position in years. By the end of Jeter’s tenure, he was arguably the worst defensive starting shortstop in baseball, but at 40 years old, it wasn’t shocking. If Cashman could get moderate offensive production out of the position, it would have been a major plus. 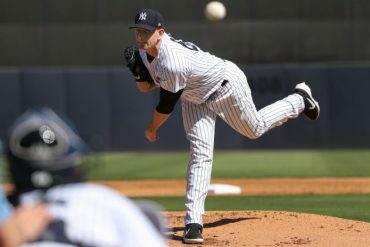 In the winter of 2014, Cashman pulled the trigger and traded pitcher Shane Greene to the Detroit Tigers, who traded Robbie Ray and Domingo Leyba to the Diamondbacks, who gave the Yanks Didi Gregorius. Yes, Cashman traded for a no-name 24-year-old defensively talented shortstop to replace a legend. 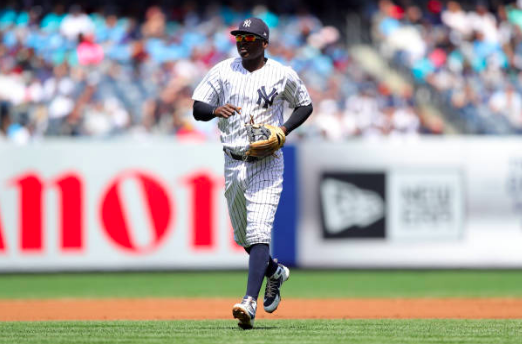 Calling Gregorius a no-name might be a tad insulting to the ridiculous tear he is on now, but at the time, no one outside of diehard baseball or Arizona Diamondbacks fans knew who “Sir Didi” was. At the time, when I heard of the trade, I said to myself, “wait, who? 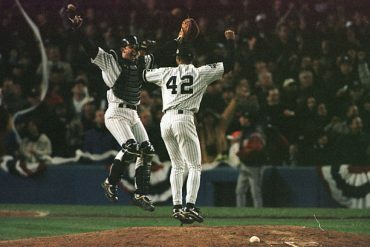 ;” followed by a “that’s awesome.” Replacing Jeter with someone, I never heard of, felt like the right move at the time. Gregorius’ slashed an underwhelming .226/.290/.363 with six home runs and 27 RBIs in 80 games in his final year with the D’Backs. Solid defensively but lacking severe offensive chops, Gregorius was a project. 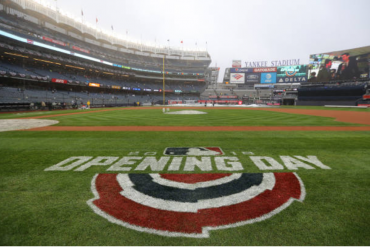 A project is precisely what the Yankees needed to replace Jeter. After a rocky begin to his tenure in the Bronx, Gregorius turned it around in 2016 and had an excellent 2017 campaign. 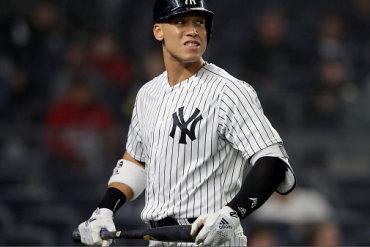 He hit .287 with 25 home runs and 87 RBI, but the most impressive thing last year was that he broke Jeter’s franchise home run record when he surpassed Jeter’s 24 HR mark. Enter 2018, and Gregorius is laughing at all the people who said he wasn’t one of the top shortstops in the game before the season started. As of right now, Gregorius leads the MLB (tied with Oakland Athletics’ Jed Lowrie) with 30 RBI, is sixth in overall WAR, is eighth with a .333 batting average (tied with Philadelphia Phillies’ Odubel Herrera), is tied with a bunch of players for third in home runs with 10. Oh, and he was just named American League’s Offensive Player of the Month for April. All this offense, while keeping up with his trademark defense. One could make the argument that Gregorius is the best player in baseball through 31 games this year. Gregorius is on pace for a .333, 42 home run, 127 RBI season (stupid numbers). These are numbers we expect from the likes of Aaron Judge and Giancarlo Stanton, not Gregorius. And on top of it, numbers we never saw from Jeter. With all the talk of Gary Sanchez, Judge and Stanton this past offseason, it’s impressive that Gregorius has been the Yankees best player so far this season. Which, to say, is very Jeter-ish in a sense. Jeter was always one of the best players on his respected teams with the likes of heavy hitters Jason Giambi, Gary Sheffield, Alex Rodriguez and Tino Martinez. So, Gregorius is holding his own just like Jeter did, plus more. Now, let’s talk about something that could happen. Could Gregorius win an MVP award at the end of the year? It’s ridiculously early, but if he keeps it up, he absolutely could. Jeter never won an MVP award, finishing as high as second in 2006. If Jeter’s replacement wins one, that would be amazing, but more so, it’s a testament to Gregorius that we are even having the conversation. 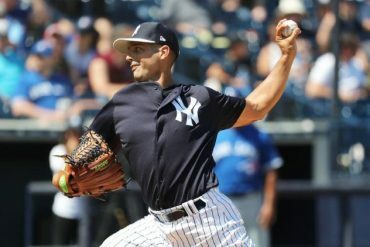 Through Gregorious’ play every day, the Yankees realize that he is becoming more than Jeter’s replacement, he is becoming one of the best players in baseball.